Škoda Auto is presenting the new Fabia vRS hatch and estate at the Geneva Motor Show, where it will join the sports-tuned Octavia vRS. 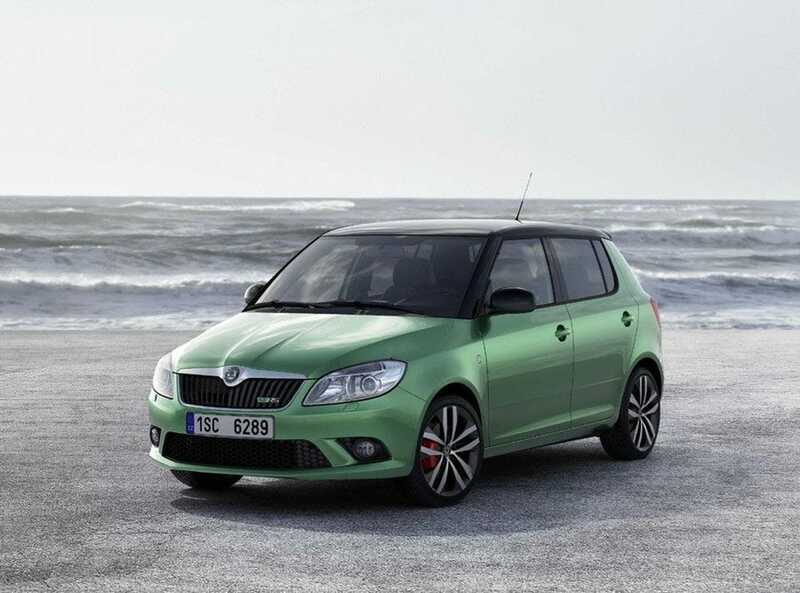 Both Fabia vRS versions are indeed impressive: for the first time ever, Škoda Auto is using a double-supercharged, four-cylinder petrol engine providing 180bhp, in an engine of just 1.4 litres. A sophisticated compressor-and-turbo combination increases the engine power smoothly and harmonically, and the maximum speed of 140 mph (141 mph in the estate version) and 0-62mph acceleration in just 7.3 seconds in both versions mean a sporty driving experience. 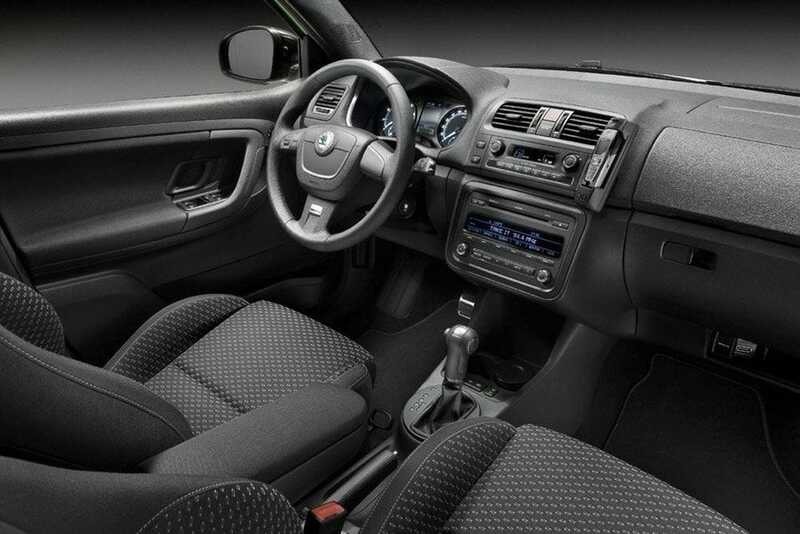 With fuel consumption of 44.1 mpg, the Fabia vRS offers high power and maximum fuel efficiency as well as excellent environmental parameters. Both versions boast an attractively designed front bumper and integrated fog lamps with integrated LED lights that can be fitted with cornering lights as an option. The vehicle’s unique position in the Fabia range is underlined by 17″ lightweight alloy Gigaro wheels developed specially for the vRS, red brake callipers, tinted windows, a new rear bumper with a diffuser and dual exhaust. Depending on the colour of the body, the roof, roof spoiler and wheels for the Fabia vRS hatchback will be available in a choice of black, white or silver. The vehicle’s sports-tuned chassis – with ESP, ABS and ASR – is designed for powerful dynamic and safe driving performance. To enhance the driving experience, the new XDS electronic differential improves the car’s cornering ability. It brakes the inside front wheel electronically to increase the torque on the outside front wheel. Accelerating through corners, the resulting torque gives the vRS impressive agility. A tyre pressure monitor (TMP) and uphill start assistant are standard, providing greater comfort and safety.